These colors can be customized via the color preference dialog. 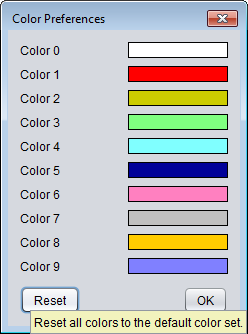 In order to modify a color, you simply need to click on it and select a new color in the OS-specific color choose dialog that pops up. Colors are saved individually for each element as hex-coded value. 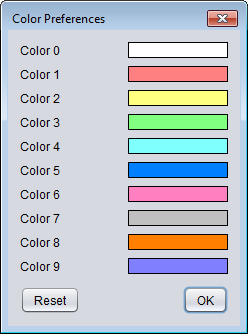 This means that changing your default colors will not affect the colors of your (or others') old colored diagrams. These will still be displayed with the original colors saved in the given files.